Kreativne iskrice: Sharing the happy news with a giveaway!!! Sharing the happy news with a giveaway!!! I am so excited to finaly share the happy news with you! All of you who visit my blog know my love for Hero Arts, so you can imagine how much it means to me to be a part of the design team, along with super talented ladies at A Blog Named Hero. Many thanks to Linda and Mary Dawn for this opportunity. ABNH is a blog for all of you who love good challenges, great tips and of course Hero Arts. So I hope to see your projects in challenge galleries over there! Twice a month Simon Says Stamp will generously give 25$ gift certificate to a randomly drawn winner. And of course there is Hero Arts who is sponsoring the giveaways. And I heartly welcome you, new visitor! I hope you will return often to get some inspiration. I am also offering a giveaway to share my happiness. Just become a follower and leave a comment on this post. I will randomly draw a winner on May 16th. Thanks for stopping by and go check other talented DT girls! And finaly here is the sneak peak of the card I made for the ABNH design team announcement. Drage punce. Danes so na A Blog Named Hero objavili njihov design team...in med njimi sem tudi jaz!!! Hero Arts je moja prva štampiljkarska ljubezen in zame je to velika čast in izziv. Zadnjih nekaj dni sem se skoraj razpočila od veselja in zadrževanja skrivnosti. Upam, da boste sodelovale pri izzivih, kadar se vam bo zahotelo in kadar se vam bodo zdeli `izzivalni`. Objavljeni bodo dvakrat mesečno in vedno bodo naključno izžrebani nagrajenki (no, ali pa nagrajencu :-) podarili darilni bon za 25$ v spletni trgovini Simon Says Stamp. Veselje pa bi rada delila tudi z bonbončkom, ki ga bom izžrebala 16. 5. Postanite `follower` in napišite komentar pod to objavo. Bonbonček vključuje: Hero Arts Newspaper Tulips štampiljko, Hero Arts Cup Of Coffee štampiljko, Papertreyink Victorian Lace robno kovinsko šablono, dve Cuttlebug srajčki za embosiranje (praznična motiva), škarje za zaobljanje robov, Hemptique vrvice, trakove, okrogle papirnate čipke. Fantastic news, Tina!! So pleased for you! ABNH is lucky to have your wonderful talents! Congratulations! A BIG CONGRATULATIONS to you, my friend, on the wonderful news I just read at A Blog Named Hero! WOW...WOW...WOW!!! That is SO EXCITING! I'm doing a happy dance for you! :-) Your card is simply beautiful! A Blog Named Hero has made a perfect choice in selecting you to join their team! You are an extremely talented crafter with fabulous and never-ending creativity! Your beautiful creations always inspire me! I am SO...SO...PROUD of you, my friend! ENJOY! great big congratulations to you - you must be so happy and proud. i follow your blog on my google reader, but signed up here also. you always make such pretty cards - and thanks for commenting on my cards in flickr. many hugs. Yay! I'm so thrilled to be on the DT together! And to get to know you better! I think it's so cool we are from different countries too, makes the world feel smaller :) I adore your card too! Lovely color combo and butterflies! BIG CONGRATS Tina !!! SO happy to see you as part of the DT!! They are so lucky to have your creative talent!! AWESOME AWESOME news, Tina! Congrats! Can't wait to see your work over ABNH!! I am so very please for you, my friend! Congratulations! I really love your card. The color combo and the butterflies make it so bright and lovely :) I'm looking forward to working with you! Tina, to je pa čudovita novica. skrene čestitke. Voščilnica pa je lepa, kot vedno. Čestitke Tina iz srca ti privoščim!!! Bonbončka se pa vsekakor ne bi branila. Congrats on your new DT position - they're very lucky to have you! :) I've been a follower for a long time as I love your cards and I can't wait to see what you create for ABNH. Congratulations, Tina! My first time on your blog, but I know and love your cards from the HA Flickr group. Congratulations Tina, I am so happy for you! Wishing you lots of design inspiration during your term! What a beautiful card, Tina! I have to say that I love any card that has acetate, LOL! So happy to be working with you on this DT! Congrats! I'm so happy for you Tina, you truly deserve to be on this design team, with your love for Hero Arts. Big congrats! Bravo Tina, vse čestitke. Res si zaslužiš, da si članica takšne ekipe. Congratulations Tina! You truly deserve to be on this design team; you make such beautiful cards. Tina to je suuuuupeeeer, čeeestiiitam. Vem kakšna je tvoja ljubezen do Hero Arts izdelkov in mislim, da si res prava oseba za njihov tim. Uživaj. Tina, I am so happy for you!! I'm also glad to see a fresh face for the DT and I think you are absolutley the perfect girl for the job. I have always been a big admirer of your work and can't wait to see what you do at ABNH!! Congratulations, Tina! I'm so happy to be on the team with you! Your card is SO pretty! I love the colors you used! Congratulations Tina!! I'm so excited to get to work with you!! I absolutely love your gorgeous card! So pretty! Congratulations Tina! Looking forward to seeing some of your cards on the blog. Also was intrigued with your butterfly card! So pretty! Well done!! Čestitke! Redno občudujem tvoje izdelke! I am so pleased to meet you and see your wonderful projects for ABNH. I expect that this new blog will be a raging success-and from your first DT entry, you will be a significant part of that! Congratulations on a great beginning! Nič čudnega, če te bo razneslo od veselja, saj si sprejem v ustvarjalni tim tudi zaslužiš. Iskrene čestitke in obilico ustvarjalnih idej. Hi Tina! Being on the ABNH design team is the perfect fit for you! Congratulations! Tina, čestitke ob tem velikem ustvarjalnem koraku! Tvoje "kreacije" so naravnost fantastične in hvala ker nas vse navdihuješ s svojimi čudovitimi izdelki! Sedaj se jih veselim še bolj! Čestitke Tina. Privoščim ti in se veselim novih čestitk izpod tvojih rok. Seveda pa je tudi bombonček mamljiv. Tina, me veseli, da si prišla v Hero Arts design team. S svojimi izdelki vsakič dokažeš, da si to tudi zaslužiš. Le za redke lahko rečem, da mi je neizmerno všeč skoraj vsak izdelek, ti si med temi. Imaš ogromno idej, uporabljaš različne tehnike, pri delu si zelo natančna in predvsem imaš občutek za dodatke, ki so preprosti, a učinkoviti. Bravo, punca, kar tako naprej! just found your blog Tina. Have admired your work on Flickr and so happy for you to be on the DT for ABNH. You'll be cool. Congratulations Tina, you will be a fabulous member oif the design team. Your work in the flickr group is always gorgeous. Looking forward to seeing all your new creations. In se veselim novih objav. Iskrene čestitke Tina. Mislim, da so v ustvarjalni tim dobili izvrstno ustvarjalko. Congrats on being choosen for ABNH!! Can't wait to see what you all create. 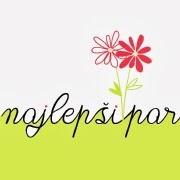 Have joined as a follower of your blog!! Congratulations on the DT--and what a wonderful giveaway! I don't have any of these yet! Congrats Tina. Your work is beautiful. Thanks for this wonderful giveaway. Congrats, Tina! Thank you for a sweet giveaway! Congratulations on being a the DT for A Blog Named Hero. I am really enjoying their new blog. 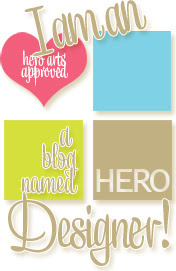 I am a new follower to your blog, but I have seen you on the Hero Arts Flickr group which I enjoy being a part of. Thank for the chance to win! Congratulations on being a DT for ABNH. I love your sneak peek on your card... just a perfect temptation for us to check it out. What an honor for you to be part of that amazing team!! Look forward to seeing your creativity!! I am sure I congratulated you somewhere else, not sure where, but, CONGRATULATIONS Tina! This is so well deserved as you are so talented! They are so lucky to have you as part of the team! I for one cannot wait to see your work! Tina, I am so happy for you! 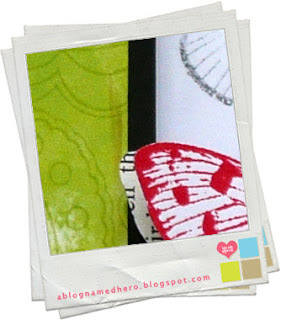 I know you are a huge Hero Arts fan and I love the cards you make with their products! Congratulations on making the design team at ABNH! Čestitke, Tina. Vedno z veseljem pogledam tvoj blog. Mislim, da so na ABNH dobili res dobro ustvarjalko. Želim ti veliko ustvarjalne energije. Bonbonček je pa slasten, se postavim v vrsto zanj. ooo Tina!! !le kako sem prezrla to tvojo objavo?!?!?! čestitam, čestitam in še 1x čestitam!! !definitivno si to zaslužiš. tudi jaz se ne bi branila tega bonbončka. This is GREAT news Tina - Thanks for the chance to win! Big congrats Tina! What a generous giveaway, thanks for the chance! Congratulations, Tina! I look forward to seeing your cards in ABNH. Hi, Tina! I just became a follower of your blog; love all of your creations I've seen on Flickr. Congrats on the DT honors - well deserved!! Thanks for the chance to win such awesome goodies! Congrats on your news Tina. So well deserved. I remember that excitement when I was on my first Design Team. To have your work noticed is amazing and your work is beautiful. The team is lucky to have you. Hugs. Huge congrats Tina - that is just fantastic news. Can't wait to see more of your beautiful creations. Čestitke za pridružitev k teamu. Sem vesela zate in tvoje čestitke so prava paša za oči. Čestitke. Bonbonček je pa tudi že kar nekaj časa razpisan, a jaz se zanj potegujem mislim da zadnji dan. Veliko ustvarjalnih uric ti privoščim.